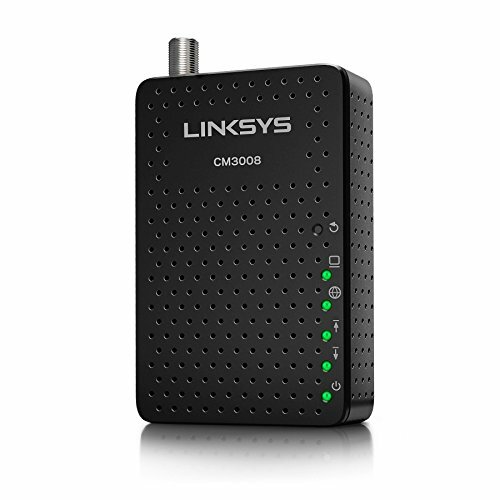 Linksys CM3008 is a slick basic modem at a great price is perfect for plans up to 100mbps. This slim Docsis 3.0 modem has 8x4 channels, is compatible with most major cable companies and super simple plug & play installation. Keep in mind this modem does not come with emta voice or wifi. We recommend a budget AC1200+ router to maximize your speeds without overpaying.